This Stamp set includes a full alphabet and a numbers set along with some punctuation! Use these to personalise your sensational projects! 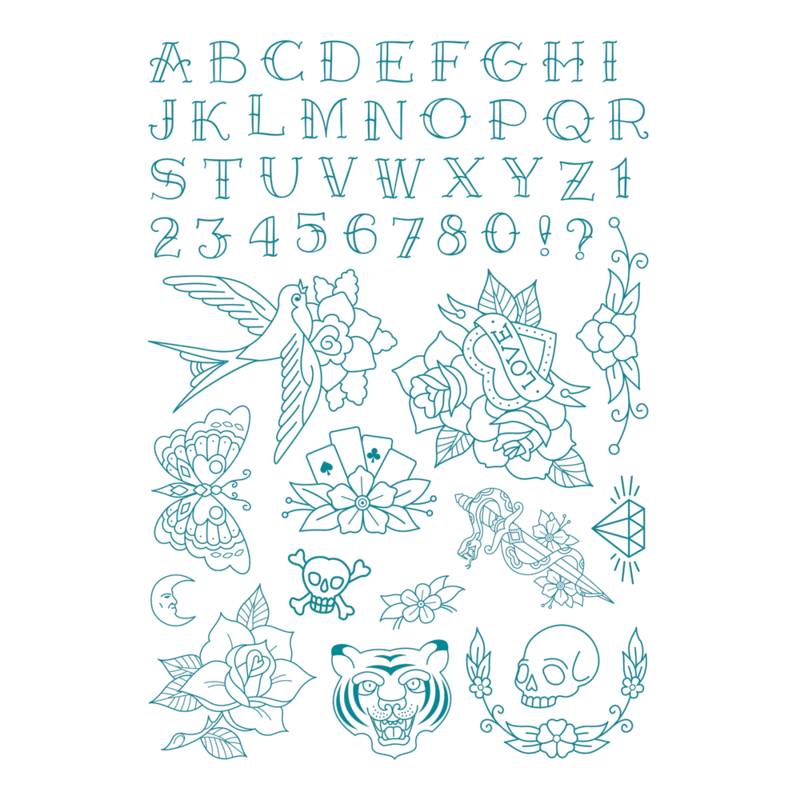 There are also classic tattoo icons such as Roses, Hearts, Swallows, Skulls, Cards and more! Use this stamp kit in conjunction with the screens in this collection, with your existing screens, with other stamps or even your die cuts to create unique looks each time you craft.